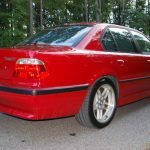 Bright red isn’t a color you would typically paint an executive sedan, but, in the case of the E38 BMW 7 series, somehow it worked. 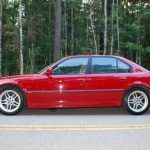 Imola Red was, however, offered as an option on the E38 and was a popular choice with those opting for the M-Sport package. 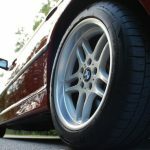 It can be a bit tricky to identify a true M-Sport, as the real defining features are the high stall speed torque converter and lower ratio differential. However, the visual clues are fairly easy to spot, such as the Shadowline trim, M-Parallel alloys, M Steering wheel and the countour/sport seats. 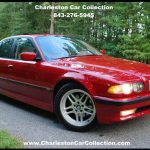 This 740i M-Sport for sale in South Carolina is described as a one owner car that is showing just over 112k miles on the odometer. 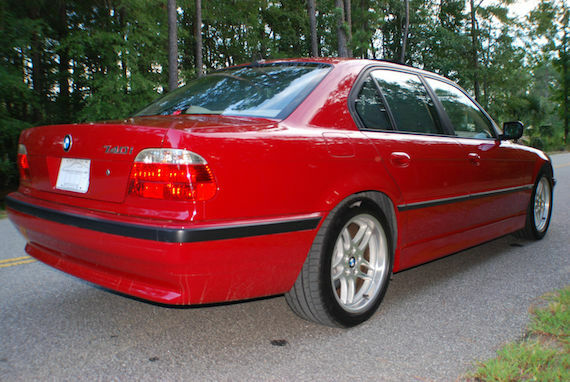 These late model E38s have turned into a bit of a cult classic, given the styling direction of the 7er that followed. Full Service Records and very recent work just completed including full replacement cooling system as preventive maintenance and all new front lower control arms! Only OEM parts are used! All Original with no paintwork (exception is front bumper repainted due to rock chips). Options include: M-Sport Package, Factory Navigation, Rear Privacy Shades, Xenon Headlamps, Sun Roof and a lot more! Body and Paint (Exterior) are in near excellent condition for the age of the vehicle! 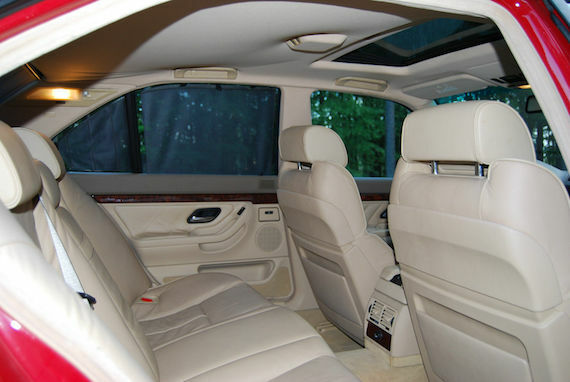 Interior is exceptionally clean with no rips, stains, or any kind of smells. NON-Smoker! Tires are all matching and have plenty of life left in them! Front Brakes were also replaced! 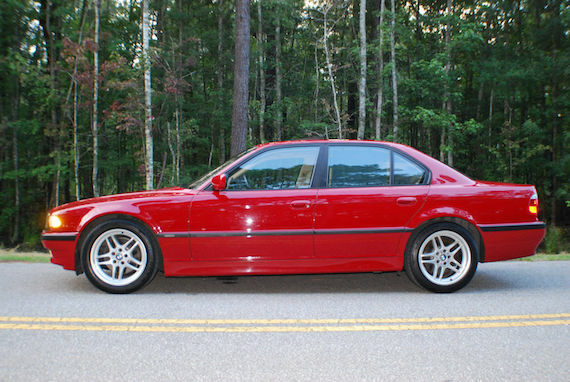 We believe this is the only Imola Red 740i for sale currently nationwide! Extremely Rare Color and Extremely Beautiful! Please call or email for more information! 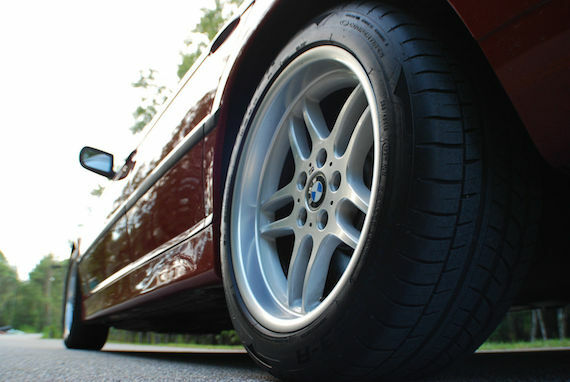 It’s no secret you can procure a late model E38 for pennies on the dollar these days. The price for this example seems reasonable at first, but there are a few issues. First, tan really isn’t my thing. In my opinion, the black leather works good in conjunction with the red hue. The black would also hide the little bit of wear that’s evident on this car. Second, the headliner is falling down and will need to be sorted. It might be a case where a bit of adhesive might do the trick, but as I’ve come to learn when fixing cars, nothing is easy. 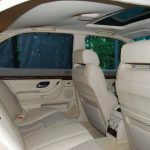 If a whole new headliner needs to be ordered, if available, it won’t come cheap. 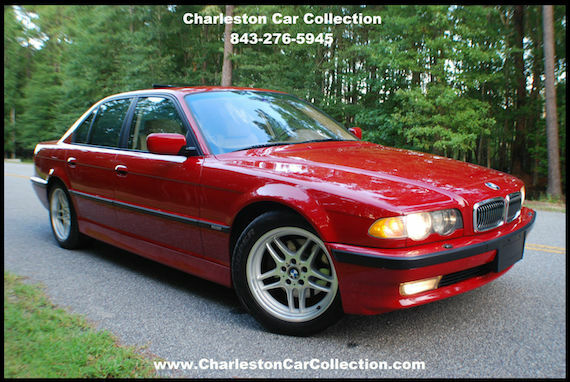 Otherwise, this looks to be a fairly straight E38, if one can bargain a bit on the price. Tagged 2001, 7 series, 740i, 7er, BMW, E38, M Sport. I’m glad I’m not the only one who noticed the headliner. I was thinking I might have been too picky. It is a great looking car with a lot of potential, but not at the current asking price. You could easily find yourself underwater with all of the little things a 15 year old high performance luxury sedan might need. The E38 and Audi D2 S8 are still designs that hold up even by today’s standards. Two of my favorite full size modes of German transport. If this were royal red metallic it would look so much better to me.